Ever want to visit one of those old European cathedrals without needing a passport? Come to the Cathedral Church of St. Peter and St. Paul in Washington. 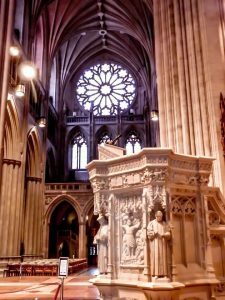 Commonly called National Cathedral because the Episcopal church welcomes all and serves the nation for major events like presidential funerals and remembrances, it’s the closest thing you’ll get locally to those church abroad. Built from 1907 to 1990, the church has 150,000 tons of limestone from Indiana built in a Gothic style for soaring heights. There are 216 stained glass windows in the church built like a 14th-century cathedral. President Woodrow Wilson and his wife Edith are entombed there as the church in 1924 sought to become like Westminster Abbey in England and be the resting place of great leaders. No other presidents since have chosen the cathedral with the latest trend having them buried at their libraries. 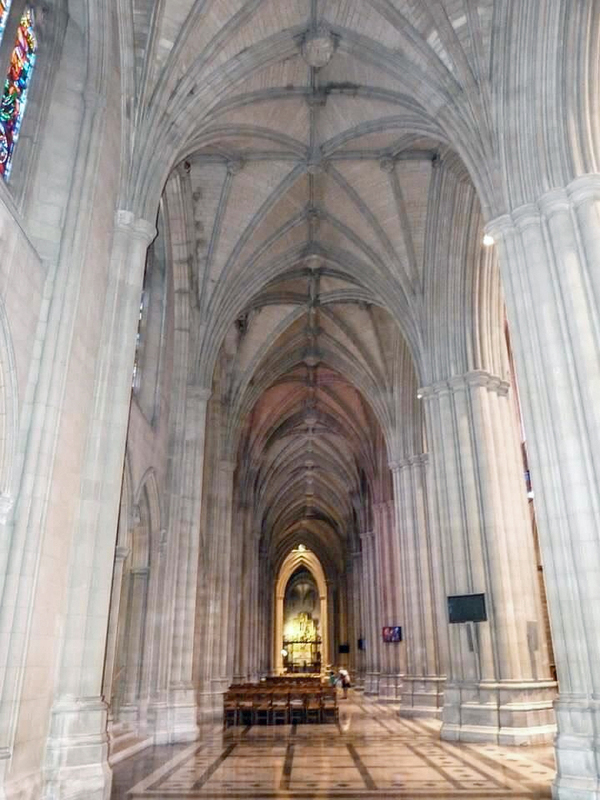 If you’re interested in a private tour of the cathedral, please contact me. There is so much to know about the place like what statue is the only one showing a president kneeling, what other famous folks are buried there, why a building is a cathedral and where is that Darth Vader grotesque? Don’t worry, you can take all the photos you like and we can spend as long as you like as a private tour versus 30 minutes on student tours. 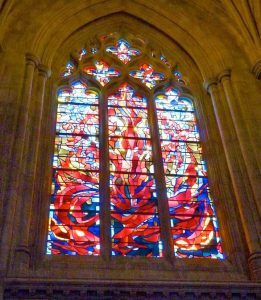 This entry was posted in Washington life and tagged Best National Cathedral walking tours, Best Washington DC walking tours, Photo by Lisa Snider, Visit National Cathedral. Bookmark the permalink.